The benefits of joining a squash club permeate body and mind, and extend beyond the four walls of a squash court to deliver lifelong friendships, travel to foreign lands and lifelong learning. This piece will focus on what squash means to a very late starter – someone who had just relocated to the west coast of Canada at 35 years of age in 2008 and was keen to develop a social circle while replenishing his body and mind. Mark Kelly started playing squash socially and competitively in Vancouver, British Columbia. His two years as a Vancouver resident inspired him to establish the Irish Sports and Education Association (ISEA) upon his eventual return to Ireland in 2012. ISEA’s flagship programme, Squash Link (www.squashlink.org), has been operating out of SPORTSCO, South Lotts Road, Ringsend, Dublin 4 since November 2015. Here he takes over Squash Mad for the day to talk about the huge benefits the sport delivers on many levels. Any sport can be social, but why is squash any different? What does it offer that other games fail to deliver? To begin with, it is played in 175 countries by an estimated 20 million people on approximately 50,000 courts; it is therefore a sport that travels extremely well. The potential value of squash to any individual who commits to it is vast. Given there are no age, size or physical strength limitations, it is a lifelong sport. The speed, endurance and intensity of effort involved in squash reward those who apply themselves conscientiously and over a long period. As an all-weather sport that sees marvellous and mysterious minds converge, squash represents a uniquely character-building challenge. Like all sport, application, determination and the ability to think under pressure are vital requirements but if you are hungry and ambitious to succeed, and adopt a common-sense approach, the standard at which you play and your level of enjoyment will soar. The squash court places physical demands on our bodies but far less amenable to analysis, and in so many ways far more interesting, is the potential of our minds to excel in this primitive pit of passion and perseverance – a place where two players, shut up like caged animals, battle it out with one another. Of course, we are all inherently competitive. This is not to suggest that such instincts manifest in the same way; it is very clear that gladiatorial battles demonstrate quite the opposite, no matter the sport. Nor does it suggest that ‘competitive’ cannot be deconstructed into multiple layers of meaning. Healthy approaches to competition can be worlds apart, and naturally so. The great advantage of squash as a social sport is that the game is very much the focus and winning then becomes a vital ingredient, but not its essence; the ultimate reward, when a healthy approach is adopted, is one that serves therapeutic ends – mental, physical as well as spiritual / meditative. Often referred to as the healthiest sport on the planet, its allure is largely down to the abundant rush of endorphins and the guarantee of a great workout when competing and practising, either with others or on one’s own (highly recommended as one of many pathways to rapid improvement), in as little as 30 minutes! Playing squash, tennis and badminton is the best way to reduce the risk of suddenly dying, a study has found. The racket sports reduce the risk of death by 47 per cent compared to doing nothing, researchers discovered. The study, which looked at the impact of different sports on health of people with an average age of 51, found swimming cut the risk of death by 28 per cent, aerobics by 27 per cent and cycling by 15 per cent. Interestingly, it discovered that taking part in running and jogging, or football and rugby did not have a significant effect on cutting the chance of death. The study was based on 11 annual health surveys for England and Scotland from between 1994 and 2008. Developing squash skills has been likened to learning the violin: success depends on developing muscle memory and perfecting technique by practising over and over. However, unlike playing the violin, the beauty of squash is the instant gratification it provides. The game is essentially played in a room, on a wooden floor, in a four-wall space, where you are permitted to hit a rubber ball off any of the walls, or combination of walls, provided it also hits the front wall. Combined with a range of balls to accommodate all abilities and levels, squash is therefore a racket sport with a large margin for error – invaluable when introducing a new physical activity to beginners. Whatever your standard or experience, every player has to continually commit to a range of gyrations and pivotal movements, with changes of direction; the mental necessity of assessing what is going on and a wide range of other factors come together to provide a mind-spelling and intensely efficient workout. ‘Squash is not just a game. For anyone who has the opportunity to become involved with squash, it builds independence. As with any sport approached properly and with concentration, one has to be independent in that area because it’s ruthless…..you have to stand on your own two feet entirely…basically it’s the individual down there in the pit who has to promote himself or herself, and persevere, and learn all kinds of little things that are character building’. Squash can be played your whole life. It is a life-long social sport, attracting players of all ages at different stages of their lives. Barrington, a former Trinity College student, unparalleled leader and founding father of the modern game, for example, didn’t pick up a racket, with the intention of excelling competitively, until he was 23! Squash represents a spring of intergenerational promise, offering a great deal to posterity, not least as a social sport with serious hobby potential. Squash inheres within friendships and friendships inhere within squash. Respect and friendship, fun and fitness will always make squash the game it is. My passion for the sport and its potential as a force for enrichment, health and wellbeing has led to the decision to develop a new Squash Matters initiative at SPORTSCO. While planning is ongoing, suffice it to say that anyone interested in taking up the sport or developing their game will be welcomed with open arms. All Squash Matters coaches share a simple philosophy: to assist and develop players of all ages, children and adults, by embracing sport as an opportunity for life-long learning, fun and social engagement. They are also inspired by a World Squash Federation process of open skills development rooted in a PDA (Perception, Decision, Action) diagnostic cycle. While a closed skill might be considered to consist of striking the ball such as hitting a ground stroke, volley, boast (where the ball hits the side or back wall before contacting the front wall) or playing any shot for that matter, a focus on open skills embraces the full range of movements, perception and anticipation in relation to each stroke. One fundamental principle is that a squash player’s movement should be relaxed, fluid and rhythmic, starting with the correct racket preparation, including the grip, as well as movement of feet into the optimal hitting position. When a rally is under way, a squash player should never be entirely still. This means they will typically be on the balls of their feet rather than flat-footed on their heels, letting their arm/racket (reach) complement the efforts of body movements/exertions. The time for resting, being flat-footed and breathing mindfully, is when the point is over and you are waiting to serve or receive. Evidently, core strength, in every manifestation, is an essential component of anyone wanting to commit to a challenging individual sport. 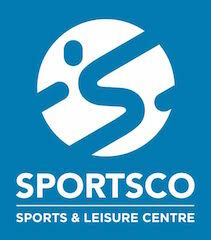 SPORTSCO offers a wide range of activities which include pilates, yoga and a myriad of other disciplines for improving physical and mental wellbeing. This outstanding facility is an ideal bedfellow for programmes such as Squash Link and Squash Matters. We know all too well of the physical time bomb in Ireland and beyond, where the threatened cost to public health is in the billions for the next generation. Maintaining a level of activity is therefore of sacrosanct importance for society as a whole. Sport enhances people’s resilience. Knowing we can look a challenge in the eye, from as early on in life as possible, equips us with the confidence in our ability to overcome obstacles in the wider world. Pictures: ‘Squash Returns to Great Pyramid of Giza’ courtesy of World Squash Federation; picture of Paul Kobus and Jack O’Flynn and Squash Matters logo, courtesy of Mark Kelly. While this article was being prepared for publication, Mark Kelly’s father Brian sadly passed away. Here he provides a touching footnote to the amazing story above. 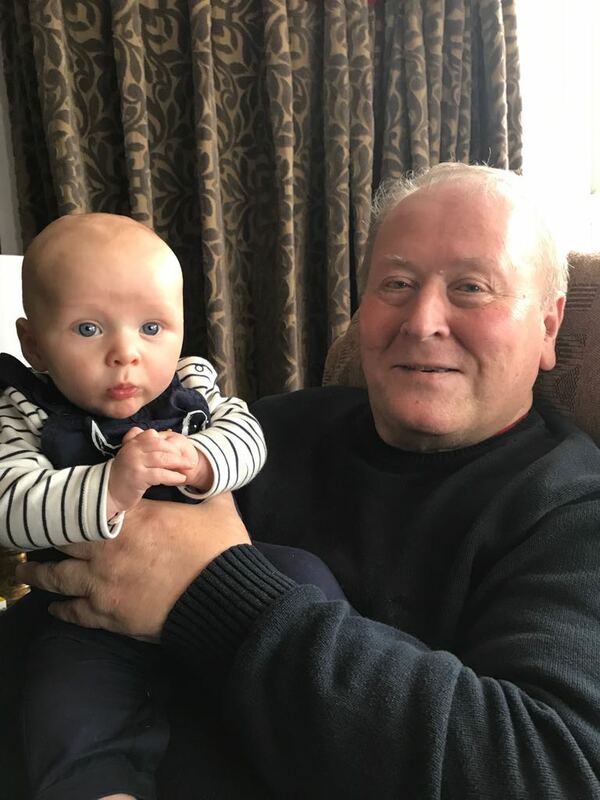 Brian Kelly, husband, father, grandfather, great grandfather, brother, cousin, friend: a brave, daring, loving, giant of a man, whose memory will be cherished. An artful and masterful fly-fisherman, Brian was a phenomenally knowledgeable sports fan, particularly fond of soccer, athletics, boxing and rugby. Sporting personality was every bit as important as the competition. Well-travelled, Dad was refreshingly worldly in outlook, an individual of character and humour, a daring explorer and indefatigable warrior of life, always searching for meaning, always thoughtful, always fighting, to the bitter end. You embraced the spirit of big ideas and did your fair share of floating around obstacles of all sizes in life, negotiating paths of least resistance, sometimes with formidable challenges to contend with, and doing so with unwavering courage, determination and faith. With appetites larger than life, to think about our father is something of a cosmic exercise. He believed in an underpinning life force, a form of pantheism. To Dad, God was as much about ‘what’ as it was about ‘who’. He believed in interconnectedness, in other words. He yearned increasingly in life for good, honest, colourful, tolerant company, including all extremes of humour; he had the outlook of a comedian and the demeanor of street-wise professor of humanities. His satisfaction in life came as much from light-hearted frivolities, jokes and stories as it did from intellectually stimulating conversation. Joining dots of understanding together to ensure maximum appreciation of what life had to offer, was a source of inspiration for him and consequently his loved ones. To the very end he spoke of travel and exploration with a burning desire and despite significant physical discomfort for a considerable number of years, he never gave up the thought of pushing on, across boundaries. ‘Cannot’ wasn’t a word our father gave much time to. His attitude was always a question of ‘How’ to get started. As a result, he consumed vast amounts of knowledge in life, if not getting to know the locals of his adopted home of Pontoon whilst fly-fishing in Co. Mayo and joining community sports and political concerns in Co. Laois, then travelling the world as a businessman during his 3 or 4 decades working with big industry or starting a law degree in his forties with a large family in tow. For many of us he was a resplendently bright beacon of how life-long learning ought to be embraced. Heavily in favour of private enterprise over public sector reliance and although a member of England’s public service as a policeman in London, the city he was born in, Dad’s adventurous, entrepreneurial spirit broke free from the shackles of the establishment order of things in the early seventies and he never looked back. His appetite for travel, movement and new challenges, was inexhaustible. He learnt so much from and was so creatively driven by it. His passion for people expanding their personal boundaries was remarkable, such matters always being a question of the mind for Dad, a man of awe-inspiring, imaginative and intellectual depth, curiosity and flair. As a schoolboy, he was determined and competitive, traits that only ever sharpened as he boxed and sprinted his way through the education system into the school of life. There is so much that will be spoken about Brian Kelly in future years. Dad, your memory will be a source of inspiration for many generations to come and a mighty driving force of our ability to reminisce – something you did so beautifully well. This eulogy is the combined expression of your children who you never stopped disagreeing with. You were a real challenge for us, as we were for you. Touché to that. You were yourself, through it all, and we would not change a thing about you. You lived life exactly as you wanted to Dad, big and non-conforming in all that you did. Your greatest joy consisted of bringing people together, communicating, telling stories, shocking others into consciousness, impersonating, laughing, judging, measuring, correcting, analysing, seeking reassurance and ultimately peace through it all. Whatever the means used throughout life, your end game was to make people feel happy. This was your greatest vanity. Just the process of doing so was sufficient reward for you. We love you. We will always love you and you will always be with us in our prayers, thoughts and actions. Thank you for the greatest gift of all. Thank you for life.